Think looking young and fresh is just reserved for women? 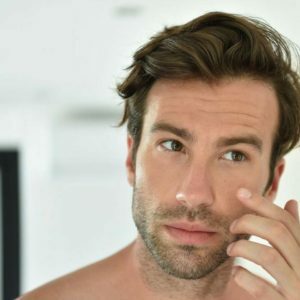 Yes, a certain ruggedness might be appealing in men, but for a healthy mind and body, it’s essential to take good care of your skin and appearance too. After all, who doesn’t want a youthful complexion clear of sun damage and visible imperfections? Across the world men are becoming increasingly open to the benefits of cosmetic procedures, so it’s important you keep up! Backed by internationally-acclaimed scientific research, our treatments get you results. No unnecessary aromatherapy, candles, and soft lighting – this practice is about making sure that every dollar of your money is spent on making you look better. Dr. Lolachi is a board-certified medical doctor and industry-leading wellness expert and she’s treated thousands of patients just like you. Rather than wasting your time with nurses or estheticians, we recommend you allow Dr. Lolachi to guide you towards the treatment that will be most effective for you. You needn’t wait long to see the action. From rejuvenating Botox to a cutting-edge IPL photofacial, most of our treatments have instant results meaning that you can get right back to work, family, travel and life without any annoying downtime. Whether it’s keeping off that fat you’ve had frozen away through CoolSculpting, or understanding how to maintain your skin between Chemical Peels, we will equip you with all of the tips and tricks needed to ensure that your epic results last.